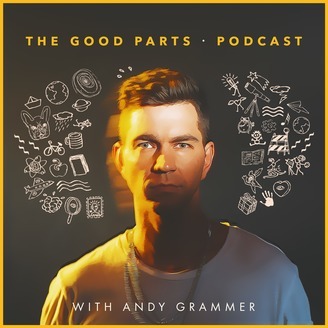 Multi-platinum selling pop artist Andy Grammer is creator and host of The Good Parts, a podcast series that digs into the philosophies, failures and spiritual experiences that make up the lives of each guest. Andy's guests are some of the most interesting and creative people in business, entertainment and media. Each episode is an intimate conversation as Andy and his guests trade stories, and get to the heart of who they are and why they do what they do. 980596. X Ambassadors are an American rock band from Ithaca, New York known for their passionate, dark, electronic-based pop centered around the throaty, soulful vocals of Sam Harris. Its members include lead vocalist Sam Harris, his brother/keyboardist Casey Harris, drummer Adam Levin and former guitarist Noah Feldshuh. Their most notable songs include "Jungle", "Renegades", and "Unsteady". 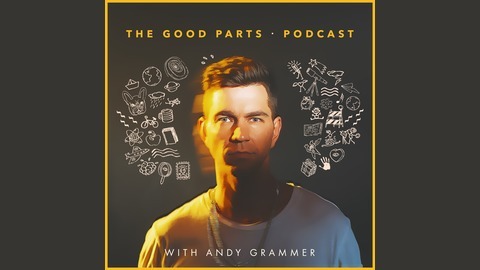 Listen as Andy talks with vocalist Sam Harris about the band's history and albums, working with some legendary producers, songwriting, musical influences, the dynamics of having a band with a family member and their single "Joyful" which is featured at the end of this episode for your listening pleasure as well as their most recent release titled "BOOM".